Eugene Voronovsky, the man behind Cisfinitum, went to the Moscow conservatory and is a professional violinist. In his music as Cisfinitum he uses various 'regular' instruments, such as violin, piano and percussion, but also found sounds. All of the sounds are processed, either with analog tools from the soviet era, as well as digitally. 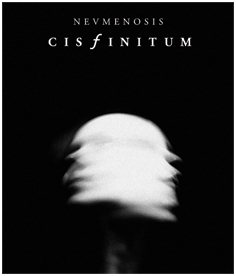 Cisfinitum already has loads of releases, which I haven't heard all, and I'm sure I wouldn't want to, but "Nevmenosis" is surely a fine release. It's a compilation of compilation pieces plus two unreleased pieces. Dark, atmospheric, with some field recordings, such as the birds in "Hermine". Cisfinitum plays music that is best enjoyed at night, sitting in an almost dark room, to make sure you got that scary effect (or that estranged mood effect, which ever you prefer with the dark soundtrack of the night) to the full extent. Somehow I think it sounds pretty 'Russian', but it's hard to say why that is. It isn't the most original voice in dark ambient, but he does things with great care. Behind Horchata is one Micheal Palace, of whom we only heard a release he did with Andrea Marutti (the man behind Afe Records). He worked as a research scientist, and the work brought him to the rainforests where he did recordings, which he uses in his music. His reworkings involve lots of computer processing and thus it's hard if not impossible to recognize anything from the original sound input. The pieces he creates are, unlike Cisfinitum, entirely in the digital world of sound processing, but the outcome is pretty much the same. Deep, drone, atmospheric music. Horchata has a lot of tracks on his album, which spans almost an hour, and I must admit that even when I thought this was all very nice its also quite long altogether and that there isn't enough variation in the material to keep it interesting throughout. Maybe some pieces less and the album as a whole could have benefitted from that. Things are a bit more experimental with Genetic Transmission, which is the project of one Tomasz Twardawa, who had a whole bunch of releases on various labels, like Tochnit Aleph, Beast Of Prey and War Office Propaganda, but none I ever heard (I think). Here he has one track of about forty-three minutes, filled with field recordings at the start, but going into metallic rumble quite soon after that. Once it gets there, it stays there. Sometimes he adds different sounds, like multiple ticking clocks, but when the ball rolls, it rolls. It's nice, but perhaps too single minded and perhaps also a bit unfocussed. The composition is rather like loose sand and not coherent and strong. That is a pity. If Twardawa would have chosen for strict separated pieces, or parts, it would be a bit clearer and leaving the improvised aspect of it behind. But it surely had some finer moments too. Nice, but with room for improvement.